Chic looking and fashion forward handmade in 100% New Zealand wool of premium quality. 3) The prices below are for Hand-knotted Rug. To order the same in Hand-Tufted which is a lower range + faster lead time, please fill the Enquiry form below. 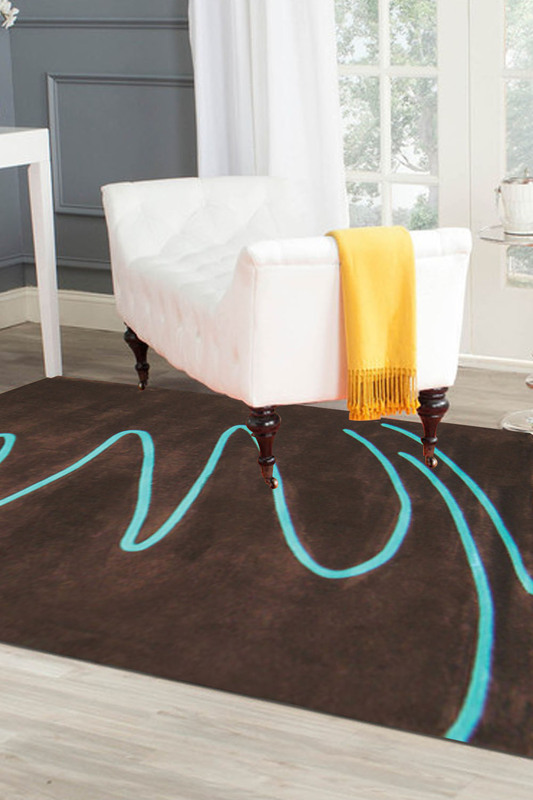 - This Rugsandbeyond beauty is a simple rug with sophisticated finesse. - It gives a very smooth look and we recommend to place this rug in a room with subtle interiors. - The rug is handmade and has taken 4 months to weave it. - The main background color is chocolate brown with a streak of sky blue patterned in a zig zag manner. - It can be used as a featured rug due to its unique style and texture. Can be washed and is highly durable.